This beautifully maintained 3 bedroom, 2 bath stone and sided home is perfectly situated on a level lot with attractive plantings and a private drive leading to a 1 car attached garage. Interior amenities include deep window sills, generous room sizes throughout, an open 1st level floor plan, a garage with direct access to the home, plaster walls, oak hardwood flooring, a gas fireplace with slate hearth and wood mantle, hot air heat and central air. 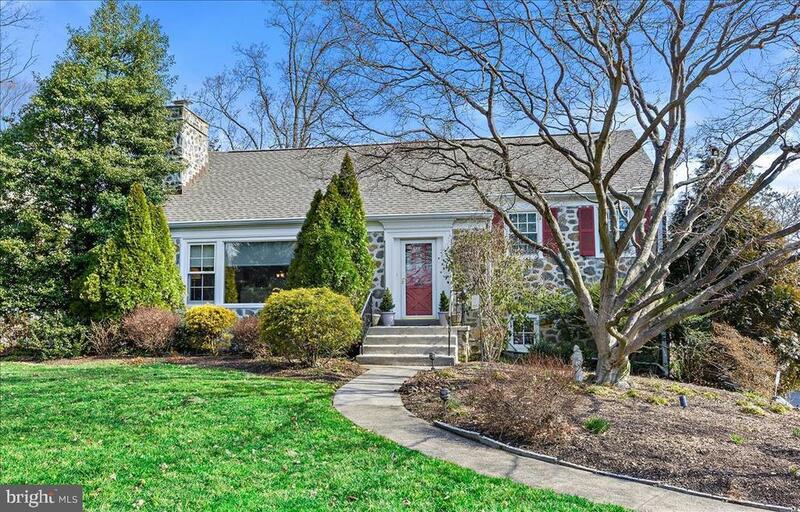 Other amenities include recently updated driveway, roofing, windows, siding and deck!Located in Lower Merion School District and Shortridge, one of Wynnewoods most desirable neighborhoods, this home is a short walk to shops and train. Whether looking to downsize or for just the right size, come see if this home is the right fit for you. Inclusions: Washer, Dryer, Refrigerator, all window treatments all in as is condition as of the day and time of final settlement.